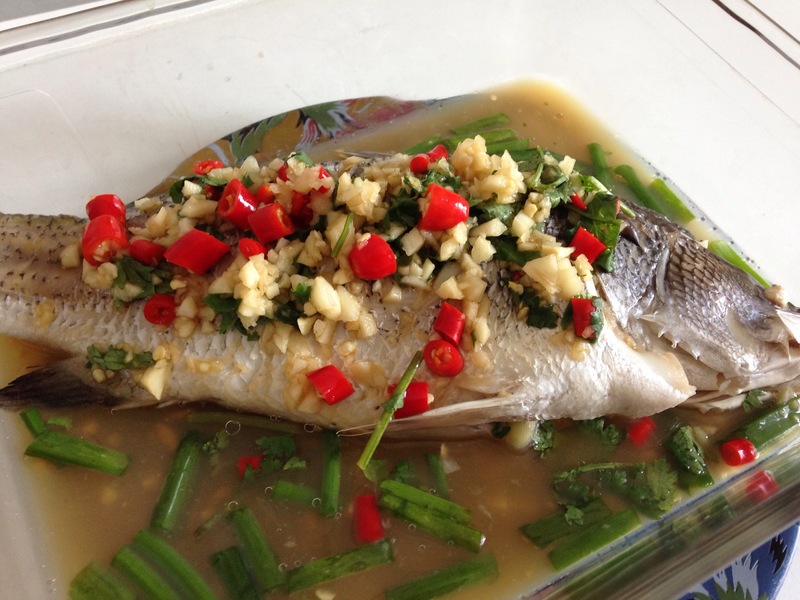 Seabass – clean and wash, make 2 scoring marks across the fish tummy and add slices of lemongrass inside the fish tummy before steaming the fish for about 8-10 mins. Note: Make sure the steamer is already boiling before you steam the fish. Note: I added the 1/2 cup water cos I like mine slightly soupy so that I can slurp it up. 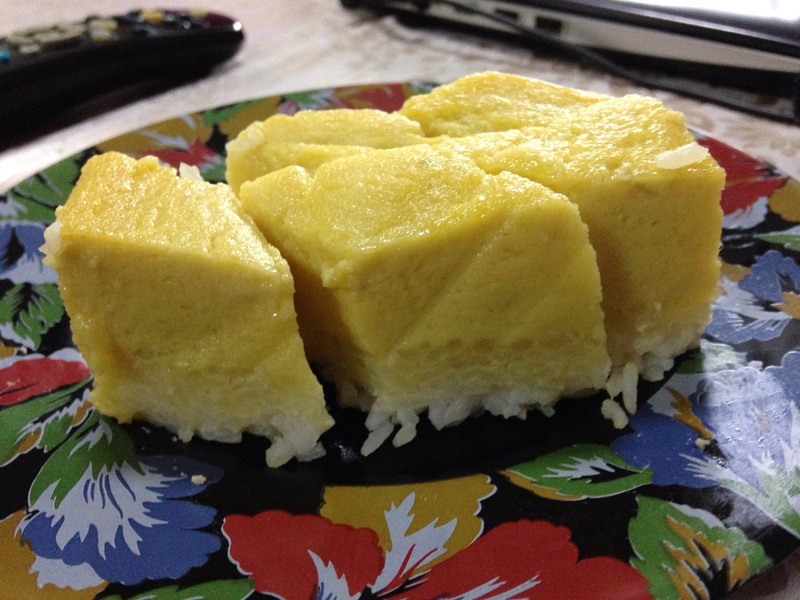 This is an old skool kueh … Our Malay community loves this traditional dessert. A favourite of my late mother. She used to cook this for us during our childhood days. 1) Boil water inside the steamer. 2) Put the pandan leaves inside the boiling water to give a fragrant smell. 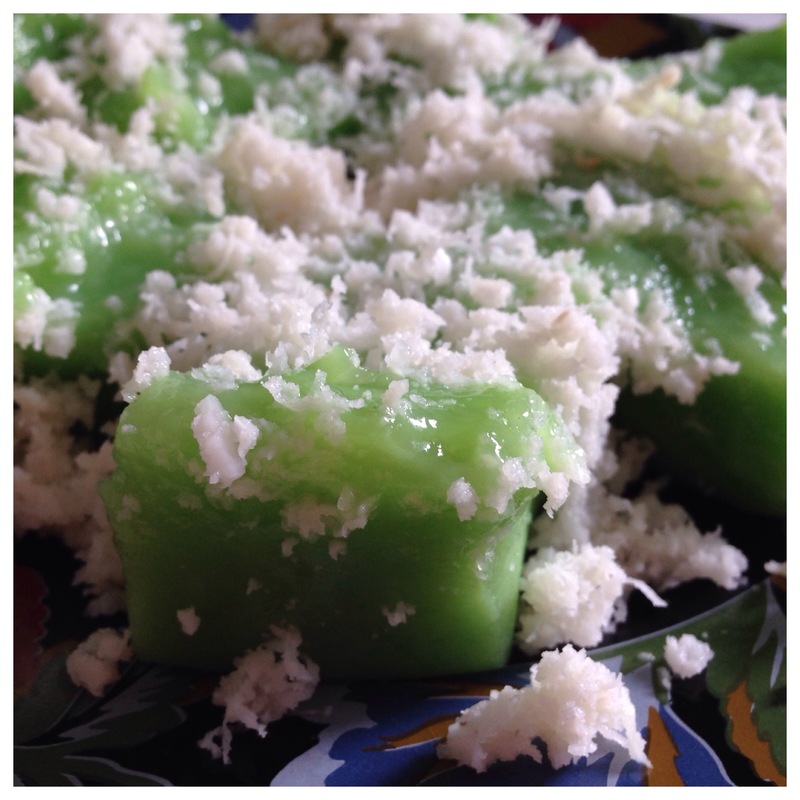 3) Steam the grated coconut mix with some small pieces of the pandan leaves for about 10 minutes. 4) Then add and mix the sago pearls thoroughly with the steamed coconut and salt. 5) Fold the banana leaves into cone shape. Add one spoonful of the sago pearls mixture, followed by 1 tsp of gula melaka. 6) Then cover it again with another half spoonful of the sago pearls mixture. 7) Cover the cone and clip it closed by using a short bamboo stick. Do the same process until the mixture finish. Steam all of it for about 10-15 minutes or until cook and ready to serve. 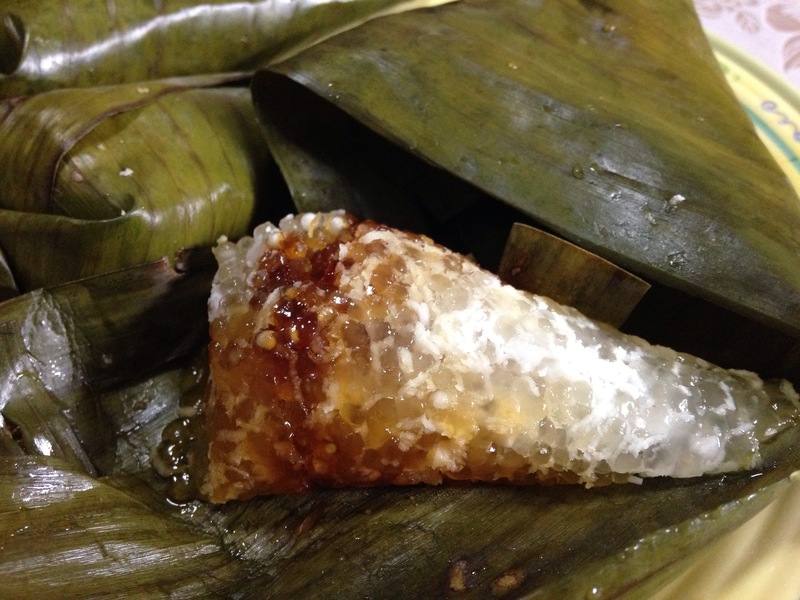 I had a craving to eat this traditional Malay kueh last Saturday. 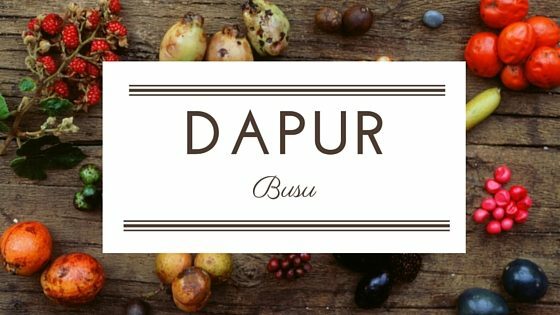 Some called it Serimuka Durian and others with the name Puteri Salad Durian …. well whatever name they called it, most important, it is one of the tastiest kueh ever! I cheated a bit, instead of using the normal glutinous rice, I used the balance of the Japanese rice which I used to make my kimbap. I did not want to waste it and luckily it turns out well. 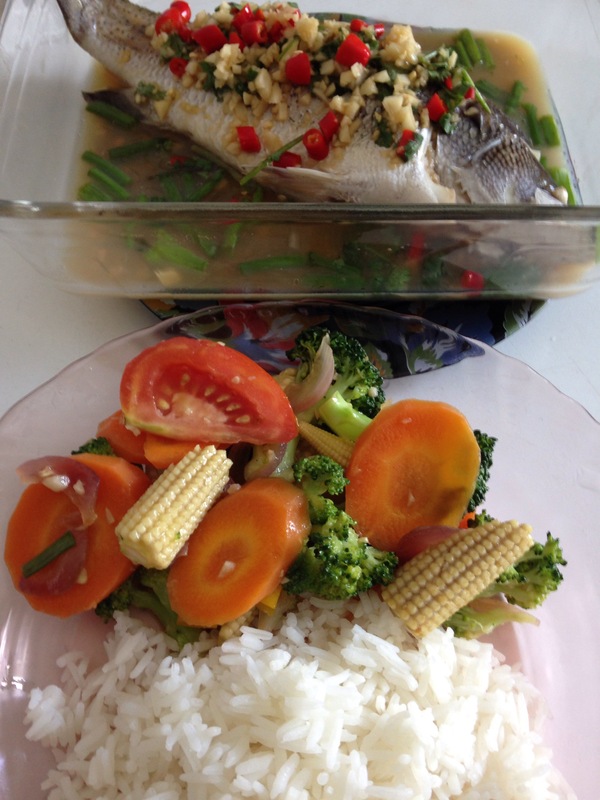 My husband even commented that he felt the rice tasted way better than the traditional glutinous rice. Mix all these ingredients and steam for about 30 mins or till the glutinous rice is cooked. Prepare another cake tin and grease it all over with a little oil. Scoop the glutinous rice into the greased cake tin and pat down firmly (either using a spatula or towel with your hand) till the glutinous rice becomes compact. Then pour the top layer over it and steam for about 40-45 mins or till cook. All these blend together and when the bottom layer is ready, pour the top layer and continue to steam for about 4-45 mins or till cook. I was supposed to meet up with a cousin today but we had to postpone the meet-up and so with nowhere to go, it’s to the kitchen I hop to! hehee …. Recipe from Chef Mastura’s book, “Ignite the flame”. – Boil ingredients A, strain and leave it aside to cool. – In a mixing bowl, whisk eggs and sugar till thick (Ingredients B), add the rest of the dry ingredients. Mix well. – Pour in ingredients A and ingredients C into the mixing bowl. Mix well. – Add in sliced bananas (1-2 pcs) on top of the batter and steam them for about 20 minutes. This kueh is also good for afternoon teas, so can serve the Harum Manis with either coffee or tea. Note : if you find the batter a bit thick, you can add 1-2 tbsp of water to dilute it. I find that when I do this, the kueh is much more softer. 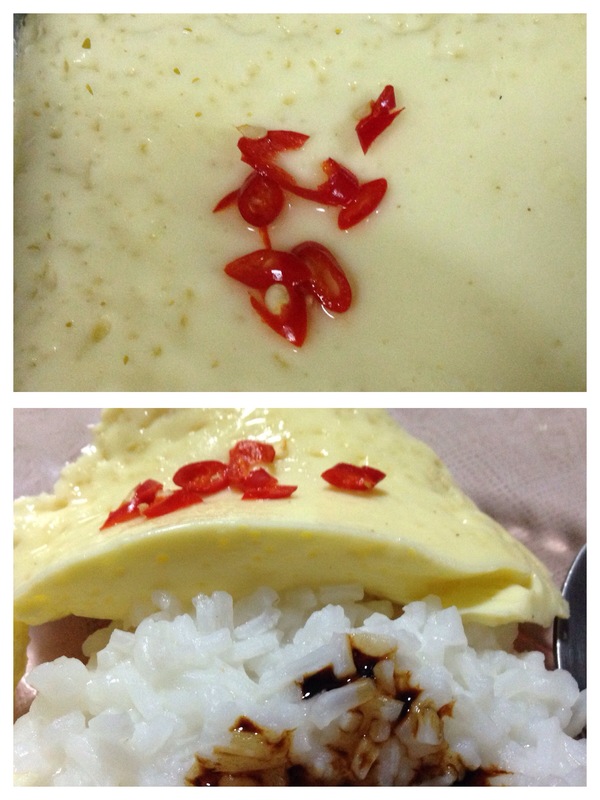 The surface of the steamed eggs was not as smooth as I would like, there’s room for improvement. Going to try again till I get it right and perhaps the next time going to either add minced meat or prawns to it. Dissolve the Knorr cube into the hot water, add the eggs and beat lightly or just stir also can. Pour/strain into a dish or bowl that’s suitable for steaming. Make sure no air bubbles on the eggs mixture. Steam with low fire for about 10 mins. Tips : Ensure that the steamer is boiling and then low the fire when you begin steaming. 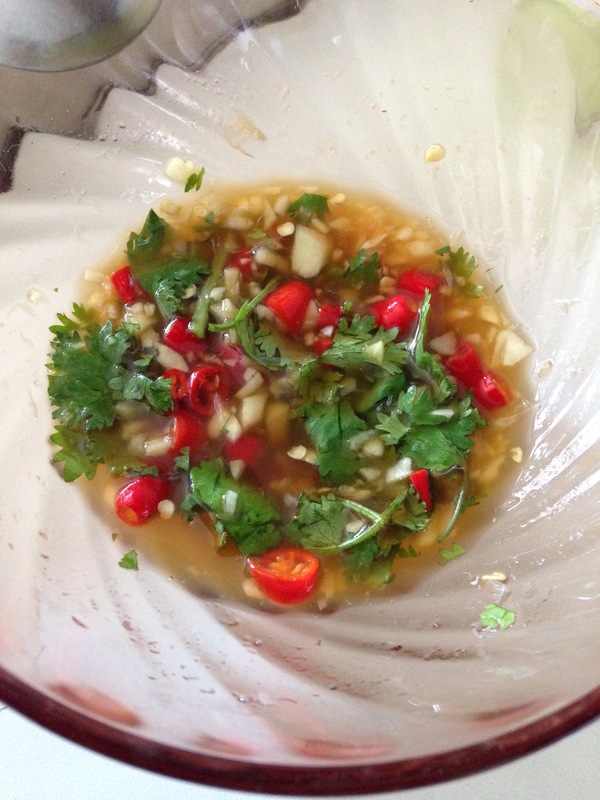 Slices of onions, garlics, ginger, lemon grass, birds-eye chillies, a few kaffir lime leaves a bit of kaffir lime juice, and 1 orange (slice and squeeze the juice). Salt and sugar to taste. 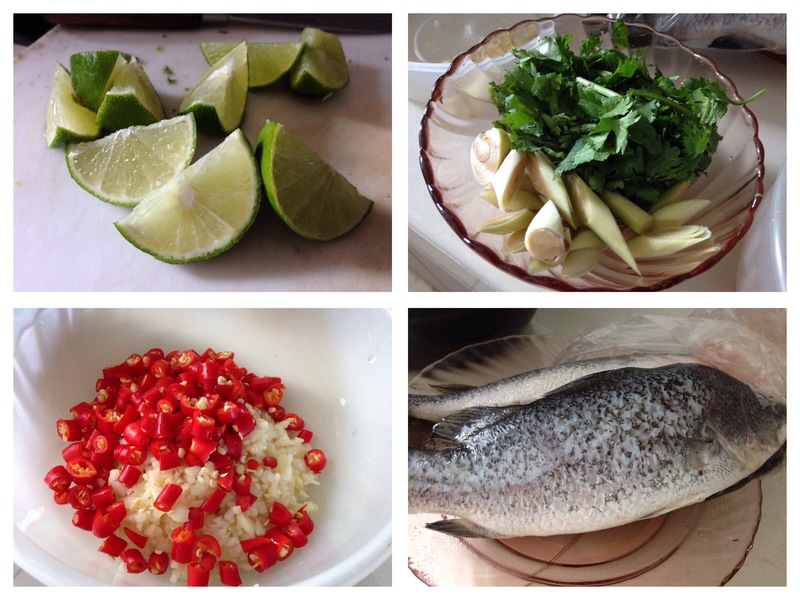 Put and arrange all ingredients in a container or plate, then steam till fish is cook. Before serving, add some onions leaves as garnish. This is a Malay traditional steam cake. Easy to make and easy on the palate. For me, my preference is either making the original flavour (which is written below) or the Pandan flavour (Pinescrew flavour). My kids love this …. very soft and they love to peel layer by layer … savouring the taste bit by bit. 1) Mix all the ingredients, stir thoroughly and sieved. 2) Divide the mixture into two bowls. 3) Add a bit of the red or green colouring into the first bowl and leave the second bowl as it is. 4) Heat up the steamer and grease the cake tin with a little bit of cooking oil. 5) Put the cake tin inside the steamer empty for about a minute. Then take one ladle full of the red coloured mixture, pour into the cake tin and steam it for about 5 minutes. 6) Next, add one ladle full of the mixture in the original colour. Again steam it for 5 minutes. 7) Continue to add the mixture alternately until it achieved your desired height for the cake. After you add the last ladle full of mixture, leave it to steam for about 15 minutes. After 15 minutes, off the fire and cool the cake thoroughly on a cooling rack before cutting it out and serve.